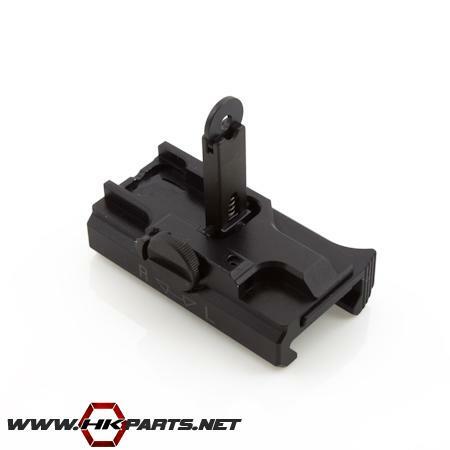 The HK MR556/416, MR762/417 flip up rear sights we offer attach to any standard picatinny rail. No hardware needed as these are self contained quick attach rear sight assemblies. These sights feature a quick & easy push button attachment for ease of use. For use with a 33mm sight line folding front sight. Can be used on custom AR15 builds or other similar platforms.